You probably don’t know, but today Taco Bell released a sneak preview of their newest menu item to those who pre-ordered. For two hours they agreed to make the secret menu item for ticket holders (including myself!) The worst part is they required you to order the item before telling you what it really is. Clever marketing that of course I fell prey to immediately. 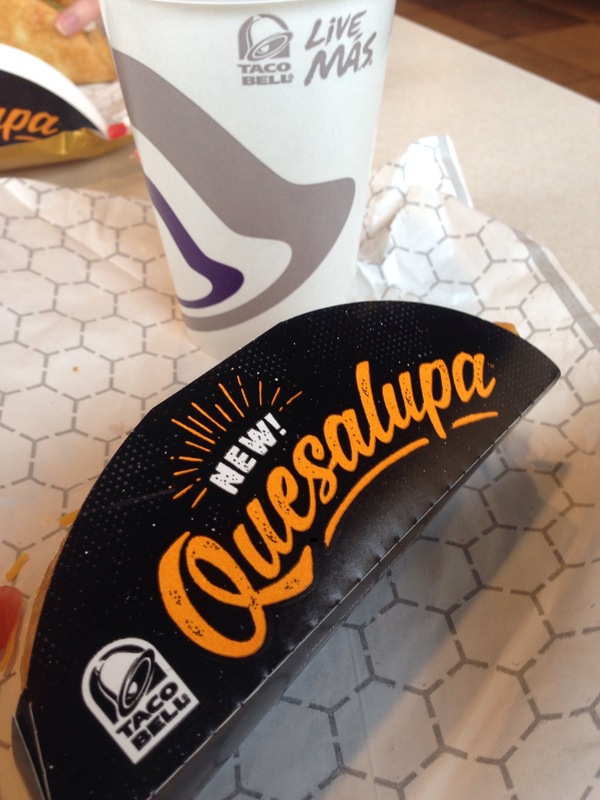 Yes, this is in fact a pre-release of the quesalupa. 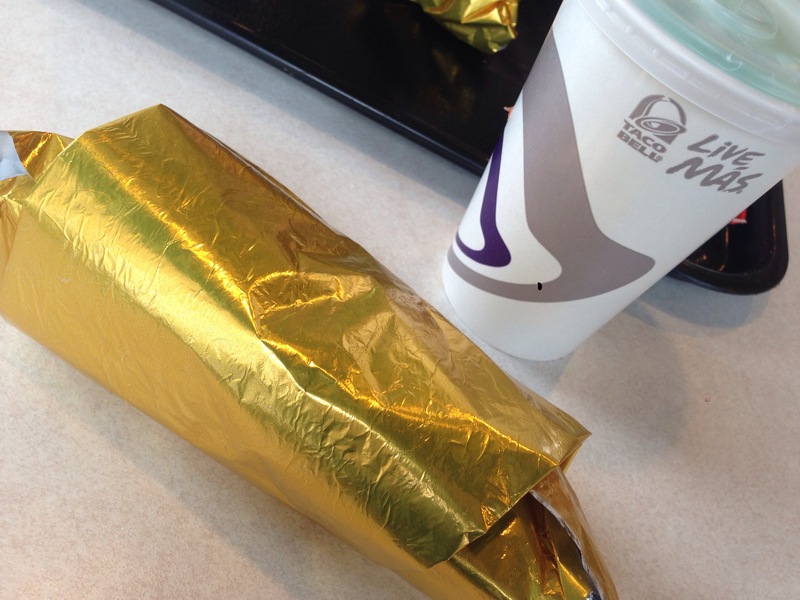 The top secret project that Taco Bell food scientists have no doubt been toiling away to perfect. Unfortunately, the Taco Bell employees were less excited than me. There seemed to be some kind of snafu with the order system (that confirmation email never actually arrived either.) Despite the somewhat poor execution of this promo the quesalupa was pretty tasty! It was mostly cheese if I’m being honest, but as my fellow Taco Bell companion pointed out, at $3 per quesalupa it’s got some competition on the menu. While I’m not a big fan of the deserts at Taco Bell, they could throw pretty much any other combination of their ingredients together and I’m going to love it. KNEW IT! I think this is supposed to be their big super bowl thing.